There will no need to wonder who will start for the Green Bay Packers next week, And it won’t be Seneca Wallace won’t be the one slinging the pig skin next week. Packers coach Mike McCarthy said in his post game press conference Sunday that Scott Tolzien will be the starter when they go to the Meadowlands and face the Giants next week. Tolzien came in for Wallace after one offensive series and piloted the offense the rest of the way in a 27-13 loss to the Eagles. 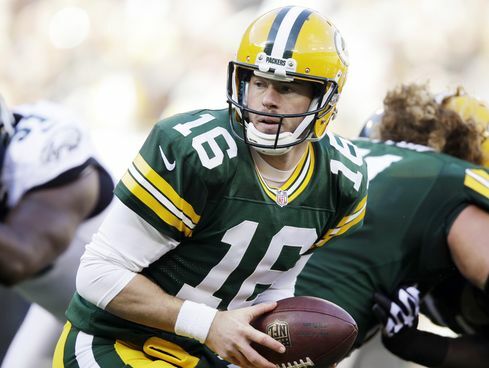 Tolzien, who went 24-of-39 for 280 yards on Sunday in his first regular season playing time of his NFL career. He threw two interceptions, one of which was a deflected ball while the other was a bad throw behind Jordy Nelson. The Packers are reportedly taking a look at Matt Flynn with Aaron Rodgers out indefinitely with a left collarbone injury. If they do decide to sign him, he’ll be a backup for next week at the very least.